There’s no shame in being a little late to trends in the indie music scene just because there is so much, and it’s not as easily available to your ears (mainstream radio play) unless you are searching for it. Besides, it’s always cool to spread the ‘indie music love’ even if you’re several months late. Think about it: you get to listen to great new music, you seem totally rad to your friends because you turn them on to great new music, and it benefits the indie band that is most likely struggling still (even if it has been several months since the release…). 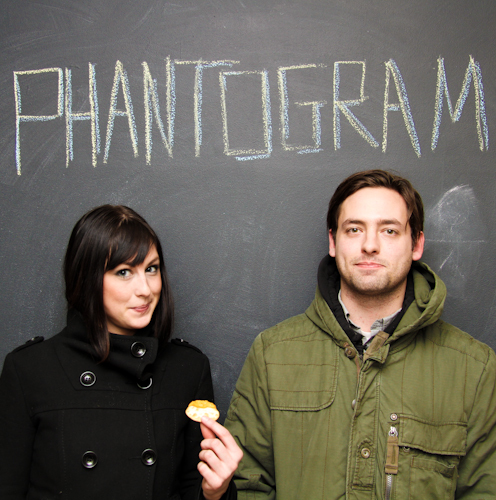 Side note: Is that a cracker with peanut butter or is it just a phantogram? So, if you missed this ’11 underground hit, let’s rewind the time, and let me introduce you to Phantogram. The upstate New York duo’s 2009 album Eyelid Movies set their standard of excellence, and while I enjoy most songs on that album, their latest EP titled Nightlife definitely shines through.